Jennifer Westacott of the Business Council of Australia deserves credit for her speech on public service reform  (PDF) a fortnight ago, and for the attention which she also drew to the roles of ministerial staff. Her focus on the importance of good quality processes as an essential prerequisite for making good quality policy must surely have been met with approving high-fives inside the Parliamentary Triangle. While a high performing public service is still answerable to its political masters, the policy making process can and must transcend political cycles. Most importantly, it must independently and diligently put the right things on the agenda. As presented here this conflates two important but separate ideas. The public service isn’t independent of government, nor is it a neutral entity (except during pre-election caretaker periods). It’s there to advise government on policy design and to implement that policy. As such, policy has to take account of political cycles. For this process to work a general principle must apply that governments care as much about delivering good policy outcomes as the public service. In our system it’s not the role of the public service to determine, independent of government, the right policies to put on the agenda. For that reason I disagree with Jim Molan’s recent comments on the Strategist  that Defence Secretaries and CDFs should make advice to their Minister public. It’s not their role to be independently setting a policy agenda, which is what publicly releasing policy advice would do. The ‘independence’ of the public service, to which Westacott and Molan refer, should come in the nature of the private advice on policy options that senior officials provide to ministers. The advice has to be private because media attention would turn unheeded advice into a political crisis. Government has the right not to accept public service advice and at times has been wise to do so. Most media commentary on Westacott’s speech focussed on the role of advisers in minister’s offices. She argues that governments should ‘halve the allocation of personal staff in ministerial offices and establish a mandatory code that prohibits them from directing public servants’. In fact such a code of conduct exists. It was tabled in Parliament  by then Special Minister of State John Faulkner in June 2008, but it would be idle to suggest that there is no issue here. A casual visitor to Parliament’s ministerial wing will see office space designed for one staffer currently being occupied by two or three. Being concerned about the proliferation of staffers isn’t a new phenomenon; a few minutes of web searching will reveal multiple instances of issues being raised about the roles of staffers over many years. Having been a ministerial adviser in past years I won’t pretend to be neutral here. My view is that staffers play an essential role in policy development—if they are doing their jobs well. They offer a number of important assets: by providing partisan advice they save the public service from being put in the position of having to do so; they help ministers manage often impossible workloads; they can represent the minister’s views on many occasions when advice has to be put to departments; and at times they can give tough advice to ministers about the tone and content of policy, which public servants might find difficult to do. For Defence ministers, an effective office is an essential part of success. Every year there are thousands of departmental submissions to the Minister that require attention and private advisors are needed to sort and prioritise them. They also need to build effective links into the huge Defence organisation, help the Minister evaluate advice from the department, and help shape policy settings. Because private staff may be closer to the Minister’s thinking, they can often more quickly anticipate what is needed to manage the day’s events, write speeches or advise the department on policy work that needs to be done. On coming to office, both the Howard  and Rudd  (PDFs) governments reduced the allocations of private staff to ministers—a prescription that has a tendency to relax as the reality of the job sinks in, resulting in staff and public service numbers growing back over time. 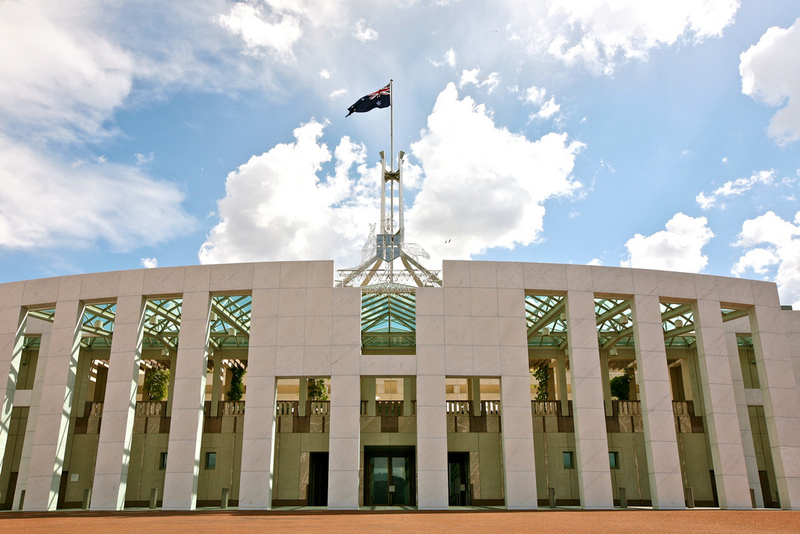 Governments might do well to look at ways of giving more teeth to Faulkner’s code of conduct, and the public service should more actively encourage their own to consider ministerial staff jobs. Peter Jennings  is executive director of the Australian Strategic Policy Institute. Image courtesy of Flickr user Alex E. Proimos .